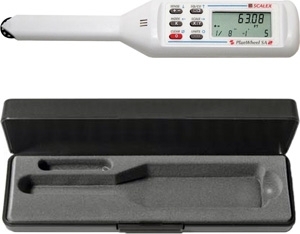 Another great measuring tool from Scalex. All the complete functionality and features of the PlanWheel XLU 2, except the PlanWheel SA 2 is a stand-alone unit that cannot be interfaced with your PC. If you know that you will never have a need to interface your plan wheel with your computer, than the Scalex PlanWheel SA 2 is the product for you. The SA2 PlanWheel has 111 built-in scales, but the user can also enter a scale that's not built-in in a couple of different ways. The user can either enter the scale directly into the unit or they can use the "Auto-Scale" method by rolling the wheel along a "known" distance from a plan, for example, that has been reduced or enlarged and is no longer accurate in terms of the scale provided on the print.